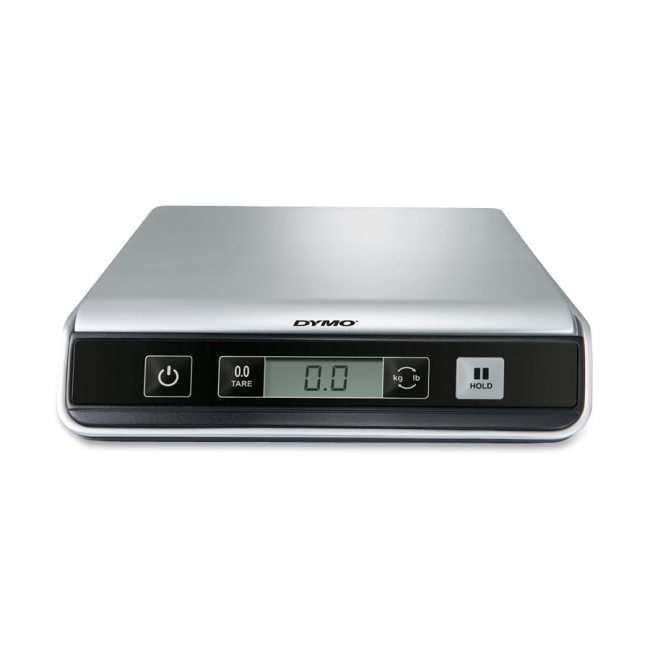 The compact, accurate DYMO M25 Digital USB Postal Scale weighs envelopes and packages up to 25 lbs (11 kg). Plus it connects via USB to your PC or Mac so you can use it with popular mailing and shipping software, including Endicia InstaRate and DYMO Stamps. This scale is packed with great features - including a LED illuminated "hold" feature that locks the weight display for 10 seconds when the screen is obscured by a larger item, a tare function for accurately weighing items in a container and an automatic shut-off that prolongs battery life. Powered by USB cable (included) or 3 AAA batteries (not included).